Click the button below to add the Skin Calming Relief Serum to your wish list. Leaves Skin Fresh with an All-Day Youthful Glow. If your skin is in need of extraordinary moisture and relief, our Skin Calming Relief Serum is the answer. 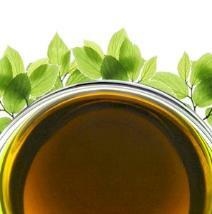 It is made with some of the most effective nutritive oils known to tackle the toughest skin concerns. This serum is quickly and deeply absorbed by even the driest, irritated, most chapped or parched skin for immediate and lasting moisturizing relief. Your skin will sigh with relief as calming Oat Kernel and Black Cumin Seed oils soothe and revitalize deep down delivering essential nutrients to help restore your skin. I love it, I have suffered from acne scars for years and this is the only product that has been able to show any reduction in the redness. I have been using it for almost a month now and most of the scars are gone, even the ones that have been on my skin for years and I thought would never be removed. Free of mineral oil, petrolatum, silicone, or synthetic fragrance. This serum is gently and naturally scented with Orange Peel Essential oil with a bit of Grapefruit, Lavender and Geranium for a fresh, clean aroma. This is amazing. Put it on lavishly at night, and lightly during the day, allowing a few minutes for it to soak in before applying makeup or anything else, so as not to shine. You will notice how much softer and clearer your skin is within a week. Smells fruity (the grapefruit oil?) but not for long. My rosacea-ridden skin looks much less red and rough. And how good it feels to not have chemicals on the skin. The Skin Calming Relief Serum is wonderful. I use oils for different things, but I don't enjoy mixing my own so I'm always on the lookout for a blend that does what it says it can do. I've made lots of mistakes with products, but this one surprised me. The oil is so light that I use the spray to apply it. The fragrance is also light and very pleasant. My skin feels slightly irritated all the time. This oil is very soothing. I apply it in the morning, neck to toe, right after a both or shower. It is absorbed quickly, but not immediately. I know it lasts about eight hours because that's when I begin feeling my skin irritation again. Nutritive formula made in the USA. No Petrolatum, No Mineral Oil, No Dimethicone, No Steroids, No Artificial Fragrance. Nutritively helps restore skin hydration levels with long-lasting moisture. This serum helps protect and relieve damage related to frequent hand washing. Soothes dry, itchy skin and helps heal and protect sensitive skin. Oat Kernel Oil has anti-inflammatory and moisturizing properties to help soothe, smooth and nourish skin. Black Cumin Seed Oil nourishes skin by providing Vitamins A, B, and C while reducing oily skin and clogged pores. 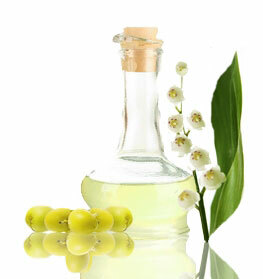 Kukui Nut Oil gives you glowing skin and is a skin protector. Apply liberally as often as needed by smoothing over dry skin. Use immediately after bathing or washing for even better results. • Apply to damp skin to help lock in moisture. • Can be utilized underneath lotions and sunscreen. Avena Sativa (Oat Kernel) Oil, Nigella Sativa (Black Cumin Seed) Oil, Aleurites Moluccana (Kukui Nut) Oil, Prunus Armeniaca (Apricot Kernel) Oil, Juglans Regia (Walnut) Oil, Cocos Nucifera (Coconut) Oil, Persea Americana (Avocado) Oil, Corylus Avellana (Hazelnut) Oil, Oryza Sativa (Rice Bran) Oil, Citrus Sinensis (Orange) Peel Oil, Pelargonium Graveolens (Geranium) Oil, Citrus Paradisi (Grapefruit) Oil, Lavandula Angustifolia (Lavender) Oil, Daucus Carota (Carrot Seed) Oil, Tocopherol (Vitamin E). Customer Product reviews and testimonials are provided for informational purposes only. Customer Product reviews and testimonials reflect the individual Product reviewer's results and experiences only. Product results may vary based on individual user. There's no guarantee of specific results and results can vary. Saw on Pinterest and decided to try it. It does work. Took product and used during beach holiday. Tanned, soft, smooth skin. Glad I tried it. I have been suffering from red skin for years. I ordered this, and it is amazing! It smells good, and my face looks perfect. I live in Florida, have fair skin and I am in my 70s. Temporarily leaves my skin soft after a shower. I use it with the Skin Calming Body Wash. It doesn't leave an oily feeling. Which I really found that interesting, and made me very happy. Not sure what's going on with my face, so not sure it's quite what I need. I still have dry patches. But it's not been only a 2wks. But I'm using it trying not to add much else besides organic coconut oil too. And wash wash with cephil. I like it tho. Thank you. This product is awesome for the dry, itchy skin of winter. My eczema really flares up in the winter, so much so, it hurts. I decided to give this product a try because I love Just Nutritive products. This product works wonders!!! This stuff definitely works as its advertised. After applying every morning after I shower I have noticed such a difference the look and feel of my skin. But I wasn’t happy with the smell overall though the product is a good buy. This is my 3rd time purchasing from Just Nutritive. I bought this for my sister who was having terrible skin issues. She lives in NYC and the winter was really drying out her skin to the point of flaking. She thinks this product smells amazing and really has eliminated her dry skin. The product lid was broken but overall a good buy. I got this as a gift from my mother whom struggles with dry skin due to her diabetes. She swore by this and now so do I. It absorbs quickly and leaves your skin feeling moisturized without feeling greasy. Absolutely love this product. My skin completely feels more nourished and softer than it ever has. Every morning I would wake up and my body was dry with white flawless especially on my legs. That is no longer a problem since purchasing this skin calming relief serum. I will deff be buying this again. I saw a difference in my skin within a few days of my purchase. My skin was always dry and regardless of the lotion I used, it never lasted long. Using this I’ve noticed a big difference in how my skin looks and feels. All day my skin feels hydrated and not itchy!